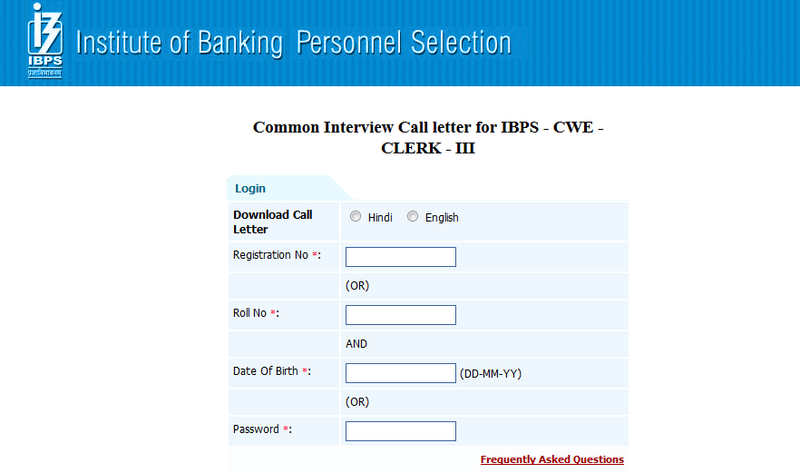 The interviews start from 10th Feb 2014 on wards for the Common Written Exam III (Clerical ) held in Nov/Dec 2013.The link to download call letter for interview for IBPS CWE Clerk III is now active on IBPS website. The candidates can download the interview call letter by providing the details- Reg No. (or Roll No.) AND DBO (or Password), as can be seen below.